Email campaigns are important since it’s one of the guaranteed ways to lead traffic and even convert these to sales on your site. You have to build an email list, one that has sufficient amount of active users to ensure victory in your campaign. You have to make sure though that your lists are clean and do not contain invalid addresses. One way to know if you have a clean list for your email marketing campaigns is to test email address on your lists. You will need an email verification software in order to remove invalid emails so you can proceed with your campaigns. Email validation is very important if you want to have a successful email campaign and want to be even more successful in your online business. Though there are other means for marketers to connect to their users, email remains the top means of communication for most businesses. If you don’t test email address on your list before launching your campaigns then it can affect your reputation as a sender and even get you blocked or blacklisted by internet service providers. Internet service providers such as Yahoo, Google and Bing are strict when it comes to the mails that come and go in the system. 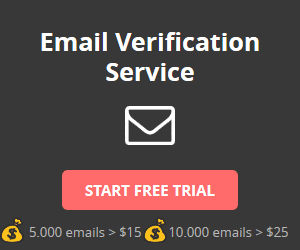 You can test email address online since there are already lots of email verification services. In order to get a great start in your campaign, you have to know your user’s email opening habits, most people check their emails upon waking up. Make sure your campaigns make it to their inbox and not the spam folder since it would be meaningless to launch a campaign just to find it in the spam folder. Also, save your money by validating your lists and at the same time enhance your reputation. You can also get more leads and converts from every click from these emails that are directed to your website.